Evo & Grace: The WanderLusts: A throwback of love in concert. 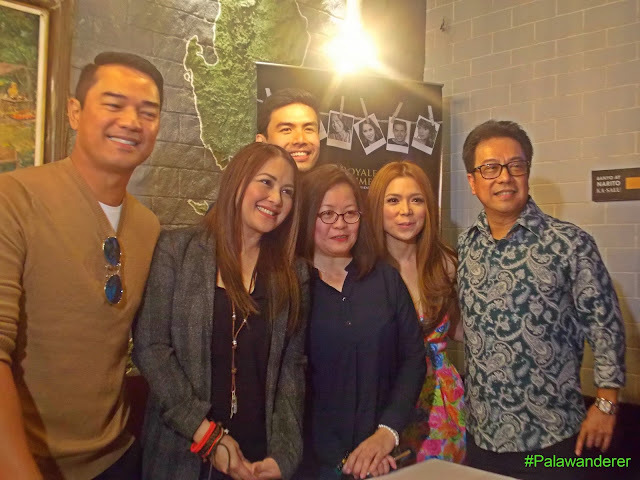 OPM Icons Ariel Rivera, Jinky Vidal, Nina, Christian Bautista and Hajji Alejandro. Come heart’s day, six OPM artist who popularize songs that talk about matters of the heart, will be in one show to celebrate the universal language of all time, which is love. For the second time around, #LoveThrowback is making a comeback at Philippine International Convention Center featuring two Kilabot ng Koliheyala from different generation, Hajji Alejandro and Ariel Rivera. Alejandro is notable for hits like May Minamahal, Nakapagtataka, Panakip Butas and others, while Rivera is identified with Sana Kahit Minsan, Ayoko Na Sana and Minsan Lang Kita Iibigan. Pinoy band royalties Joey Generoso of Side A band and Jinky Vidal is also in the line up, their immortal hits include So Many Questions, Forevermore, Tell Me for Joey, and So Slow, One Hello and If I Believe are among monsters classic of Vidal. Asian Pop Star Christian Bautista is joining this year’s throwback team, for sure he will sing “The Way You Look At Me” on this concert at 8pm on February 14. Completing the group is the soul siren Nina, she is one of the original artist in the first throwback concert last year, her soulful songs like Love Moves in Mysterious Ways, I Love You Goodbye and Through The Fire is definitely in the track that night. Royal Chimes Concerts & Events Inc didn’t discuss the flow or the sequence of the concert during its Presscon recently, however they assure everyone that it will be a good show for all lovers, that will celebrate Valentines with them, production numbers and some songs collaborations is expected as well. Tickets to #LoveThrowback2 is now available at Ticketworld, you may contact them at Tel Nos. 911-5555 or at SM Tickets at 470-2222. For more details follow them in Facebook and Instagram @RoyaleChimesConcerts or via Twitter @RoyaleChimes .